See my packaging review HERE. This one will only be about the cookies and crackers inside. Inside the plastic container you get 4 different treats in 4 different colored wrapping. 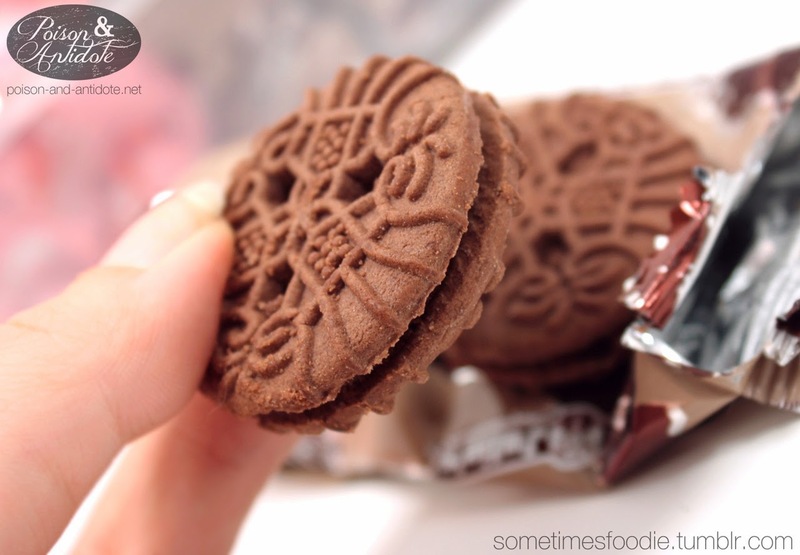 Red - Chocolate x Vanilla sandwich cookie :Very similar to an Oreo cookie. 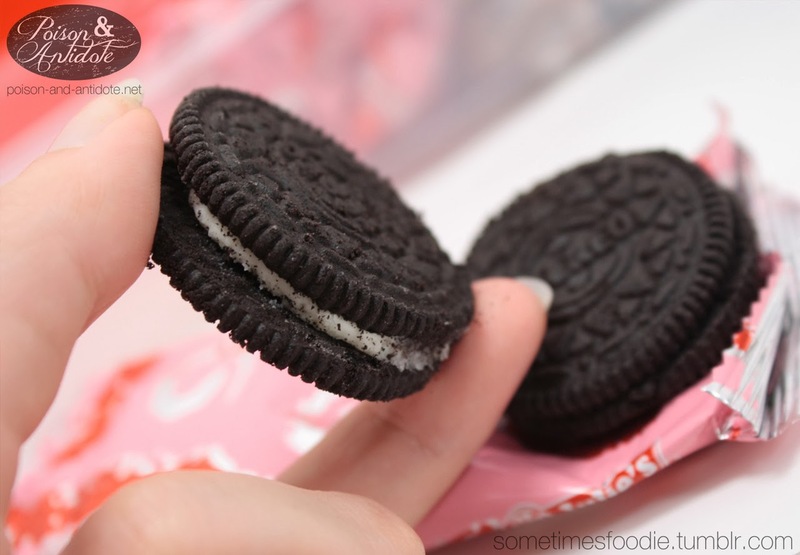 The cookie part itself tasted just like an Oreo, but it had a lighter texture. The cookie actually felt light and airy. 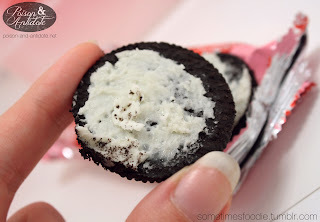 The filling inside was really creamy and soft, unlike a stiff Oreo filling. I really liked this cookie a lot, and it was great with milk. 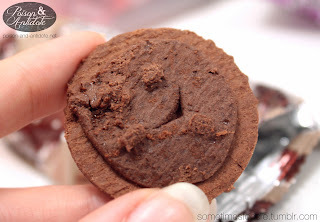 Brown - Chocolate x Chocolate sandwich cookie:This cookie looked really really yummy, but the actual flavor was really disappointing. You could barely taste any chocolate in the filling or in the cookie itself. The actual cookie portion was also really dry and kept breaking apart. Purple - Cracker x Sweet Cheese : I was dreading this one. I normally hate the processed cheese taste that goes into these sorts of snacks. (I am super picky about cheese flavored treats.) This isn’t a traditional savory cheese filling, it is sweet. 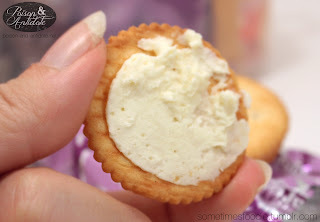 The overall flavor is still like the center of cheese Ritz Bitz and I HATE those. I really hated this flavor. 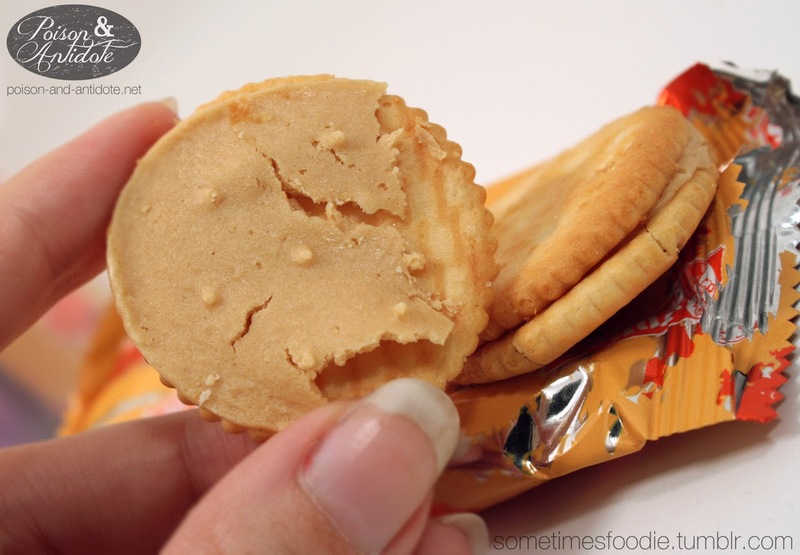 Orange - Cracker x Peanut butter : I really liked this one a lot. The cracker is very buttery and savory. I like how that mixed with the peanut butter inside. 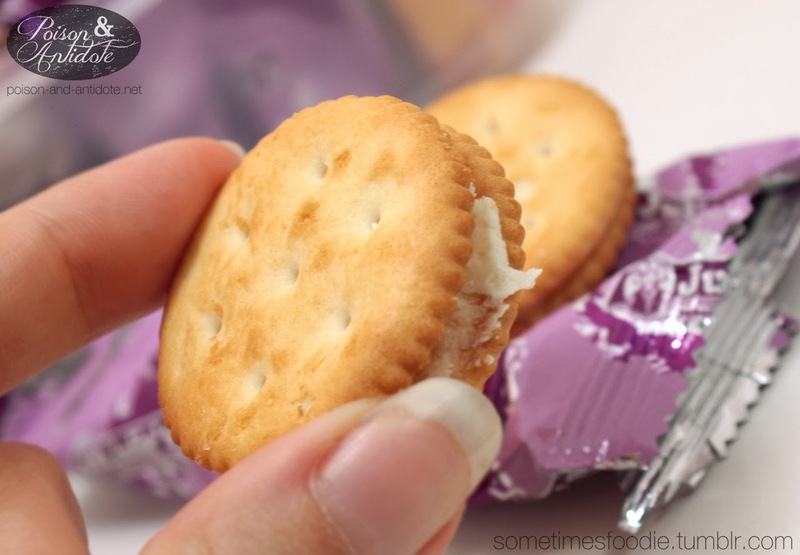 My favorite treat would have to be the Oreo-like cookie, and least favorite (without a doubt) the cheese filled cracker. I really love the packaging, so if I see an all peanut butter cracker or chocolate vanilla sandwich cookie filled one I would definitely buy this again. 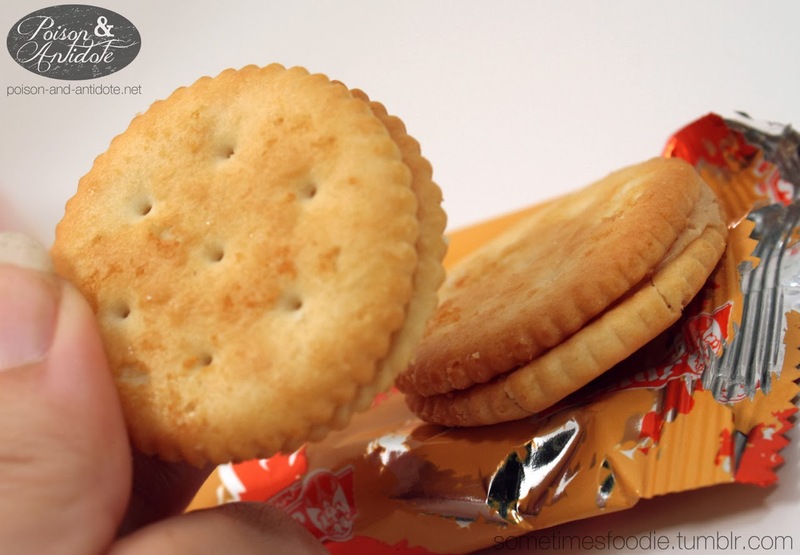 Sadly they have a larger container of these…but it’s all cheese filled crackers! No thanks.